Have the lush green avenues, beautiful civic landmarks and playful architectural features of Coral Gables caught your eye? We can’t blame you. The “Garden City” is a spectacle to behold. 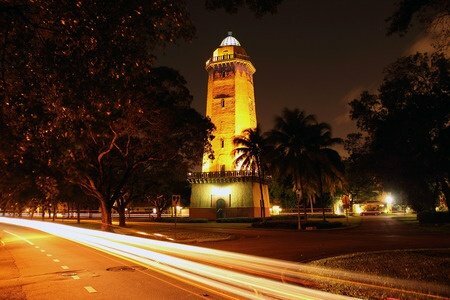 Aside from the beauty of the area, Coral Gables is a major employment center with almost an equal amount of workers as there are residents in the city. Not to mention the shopping center known as Miracle Mile that holds over 100 select retailers, as well as being the place to shop for every bride-to-be. You’ll never starve or run out of places to visit or wine and dine because Coral Gables is home to more than 100 cafes and restaurants, as well as many fine art galleries. On top of that, the University of Miami is in the area making it a perfect place to call home if you’re trying to keep your children from moving to a different state when it’s time for college! Since we know it didn’t take much convincing to make you want to move to the spectacular city of Coral Gables, we’re here to guide you on hiring the right movers for the big move. This can be challenging because you want to make sure the Coral Gables moving company you hire is reliable, experienced and above all reputable. As you skim through hundreds of reviews, you’ll find that Top Notch Movers offers the highest quality service. Here at Top Notch Movers, guarantee full customer satisfaction because if you’re not happy, then we’re not happy. Our Coral Gables moving company representative will come to your home and give you a quote that will fit your budget constraints. Our prices are flexible and your estimator will consult with you to offer you the best options available. We specialize in commercial moving no matter how big or small the move may be. Our movers come with several years of moving experience, making them more than capable of moving your business from a downtown area to a suburb or vice versa. Our expansive network of agents, drivers and employees will manage your move to make sure you remain stress-free. Top Notch Movers is a professional and experienced moving company, and we have your back. As Coral Gables movers, we love offering our clients exceptional customer service that is unparalleled by other moving companies. Our ultimate goal is customer satisfaction and if you are not satisfied, neither are we. Call us today for a free estimate and quote! Wonderful experience overall. Our two movers went above and beyond. They were friendly, careful, and contentious. I was very impressed with how well they disassembled and reassembled all of our items. I would easily recommend them to others and will use them again in the future.